Word Wednesday: Does Prayer Really Work? Four years ago I was disenchanted with prayer. Discouraged. Confused. And angry. “Why do we pray?” I screamed into the heaven-lies. It was a time when God went silent in my life. His presence stealth. I would run outside into the sunset every evening because that was my only tangible promise of God’s presence and goodness. That knowing only lasted until the sun slipped beyond the horizon, then empty crept back into my heart as dark as the night sky. Verses like the one above, promises of answers to prayer confused me. Were those promises only for the disciples? Are they for us today? That question haunted me for awhile. I had been so sure before this faith blow that I had a handle on prayer. It was not that I believed I’d figured it out completely, but I had learned to ask God how to pray. I felt I walked daily with Him. I abided. meno; a primary verb; to stay (in a given place, state, relation or expectancy) abide, continue, dwell, endure, last, live, permanent, remain, stay, still, wait. A good friend of mine has written a book on prayer, Lord, It’s Boring in My Prayer Closet. In her book she explains that our prayers are eternal. This has been an intriguing thought for me. Sandy used Revelation 5:8 to prove her point.
. . . .And when he had taken the scroll, the four living creatures and the twenty-four elders fell down before the Lamb, each holding a harp, and golden bowls of incense, which are the prayers of the saints. Prayers in heaven. Stored in heaven. And they smell good. Why do we pray if our prayers are not always answered as we petition? We pray because we’re told to. We pray because it unites our hearts with Jesus as we . . . stay (in a given place, state, relation or expectancy) abide, continue, dwell, endure, last, live, permanent, remain, stay, still, wait. . . on Him. But Christ not only told the disciples that they must abide in Him, He also told them that His words must also live, stay, continue, endure, and wait in them. It’s one thing to pray our hearts desires; it’s another to pray Scripture. I learned the hard way that there is no magical routine or method to prayer–and actually, I’m grateful for that. But how would our faith change if we prayed first waiting on Jesus for wisdom on how to pray using scripture verse to incorporate in that prayer? How would our faith change if we knew that the prayers not answered on this earth are being answered in the eternal realm? Do you think that prayer is a gift for some or a tool for all? Have you been disenchanted with prayer and scriptures like John 15? Does this post encourage you to pray or do you disagree? I pray you’ve been encouraged. Prayer is the wonderful soaking in, the marinading we all so desperately need. It is a purposeful turning away from the world for our answers, our peace, our joy, and turning to God, our creator, who alone knows how to answer. And yes, He does answer. I must say He always answers. His answers come whether we see them or not, and whether or not we like them. The abiding you speak of, is the real key. 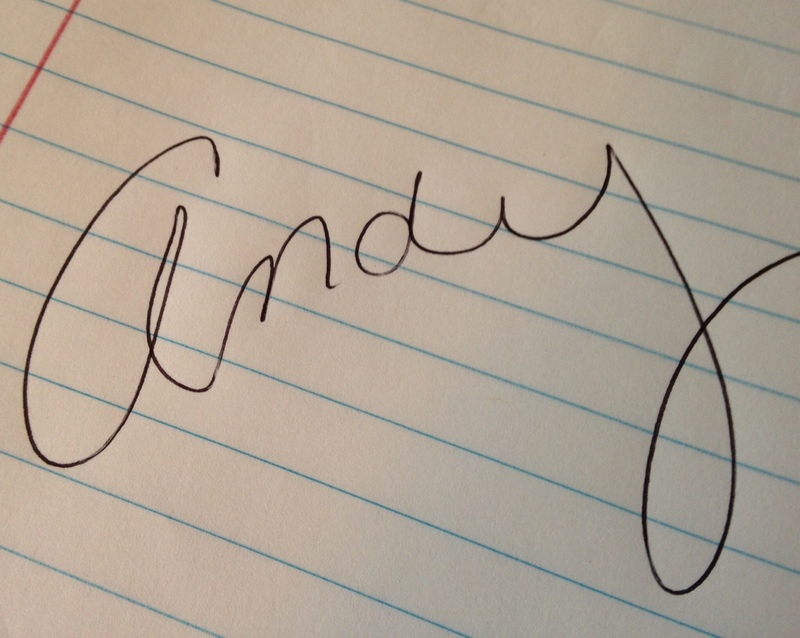 I love all your words, Andy, and I love the heart that churns them out. blog posts! Your comment is beautiful. Today I am so discouraged, tears pressing to be shed; the urge to release frustration in shouts of despair, I read your words on prayer. Why God I ask is my unbelieving son still struggling? Rescue him. Rescue me from weeping over him. All I have is prayer. I’m so sorry Patricia. Ask God to show you a scripture to declare for your son. Don’t give up. I’ll be praying too. Encouraging word today, friend. I love our discussions over coffee. You are a blessing!